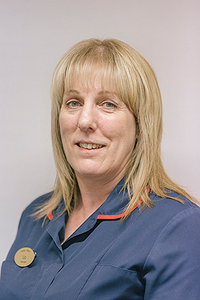 Liz completed a Bachelor of Nursing Degree in 1999 and joined CAIS as a staff nurse based at Hafan Wen. Liz has developed her career within Hafan Wen and has been in her post as the unit manager since 2010. Liz' role is to ensure that her team offer a professional service and safe environment for people undergoing detoxification from substance misuse. Liz manages both the clinical and therapeutic aspects of the programme delivered at Hafan Wen.